We are planning to work with golf clubs and golf professionals that have the same vision as BIG. Both these locations are attached to a hotel and have the facilities that we can use both indoors and outdoors as necessary. We will also work immediately with any club that contacts us if they can deliver what we are looking for and the project is running as planned in initial areas & of course funding is available. • Identify groups or organisations that have young adults with physical & mental disabilities. that would benefit from participating in Golf in the area’s identified. • Look for individuals that would benefit from participating in any programs that are run. • Work actively to find funding for the program. • Liaise with golf clubs regularly to make sure the program gets recognition on websites & social media highlighting the benefits of the project. • Cost of 2 hrs for Professional @ £25 per hour – Limited to 2 x 2hr sessions per month in the beginning. What we aim to achieve by working with Golf Clubs & Golf professionals. To find many more people who have a physical or mental disability playing this beautiful game of golf, its therapeutic, its social & helps in rehabilitation making for better wellbeing for individuals. 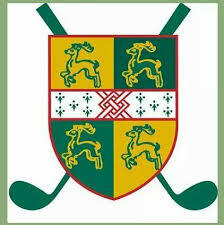 BIG have with their affiliations to other disabled organisations an outlet to encourage any individual to partake in disabled golf competitions throughout the UK, plus we have identified many golf clubs that are disabled friendly and would welcome golfers with a disability to become a member. Finally, we have our own golf events where we invite disabled golfers to represent the Charity at many levels from local to playing at an International level without having to be an elite golfer.